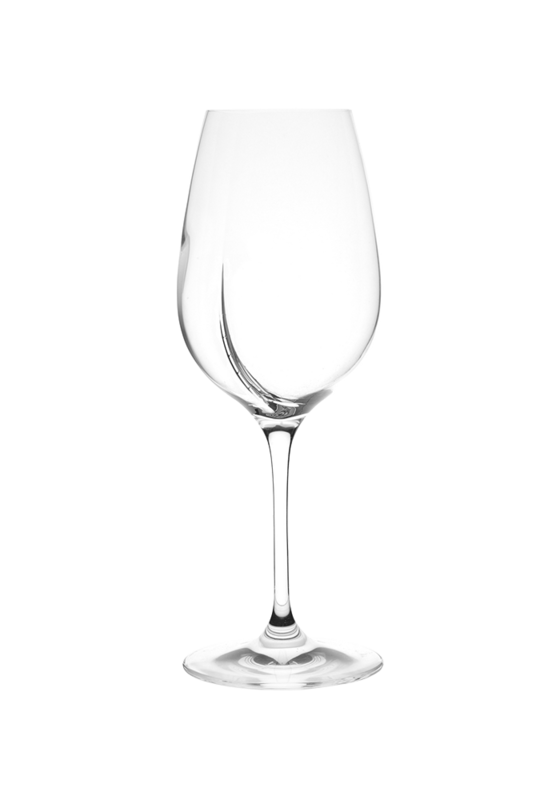 The glass that lets the wine express itself. Releasing the aromas of wine! 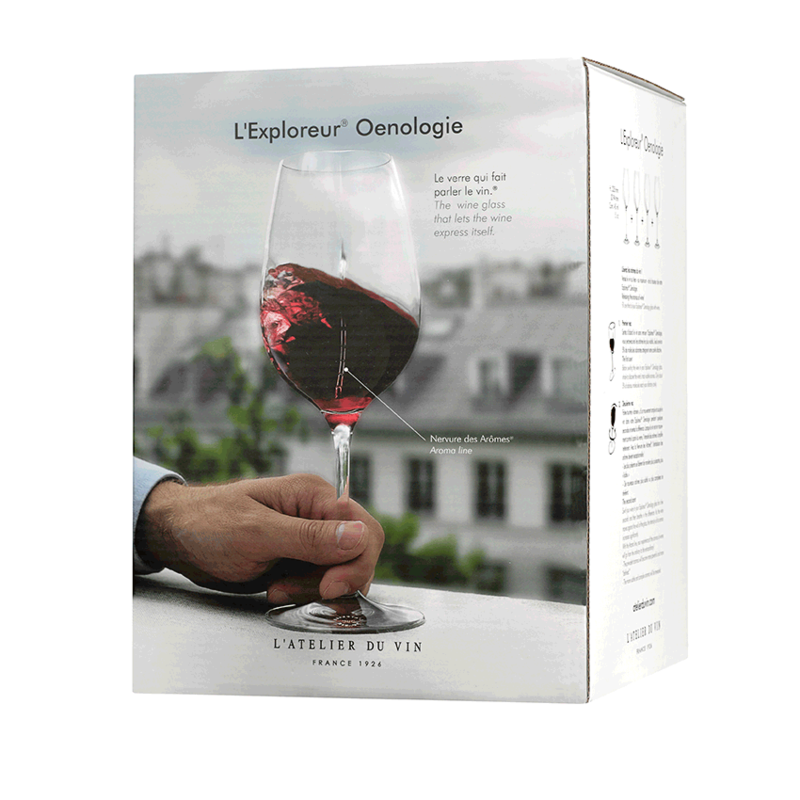 Inhale first the wine in the glass; then swirl your wine in your Exploreur® Oenology glass for a few seconds and then breathe in the difference. 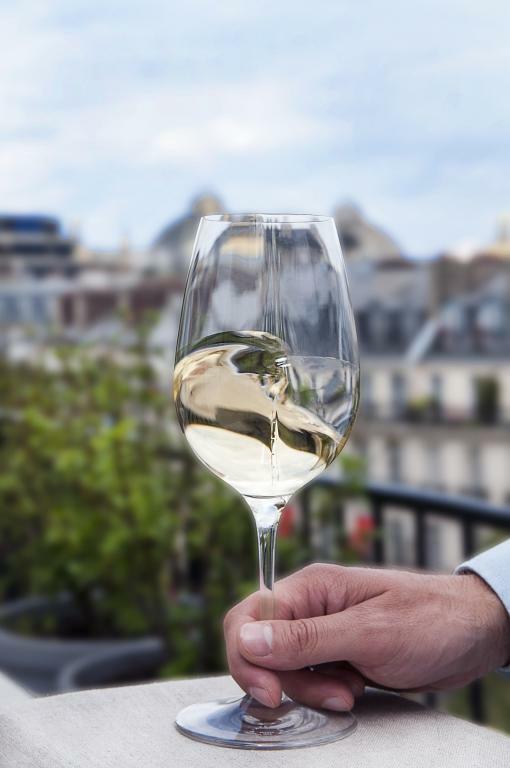 As the wine moves against the wall of the glass, the intensity of its aromas increases significantly. 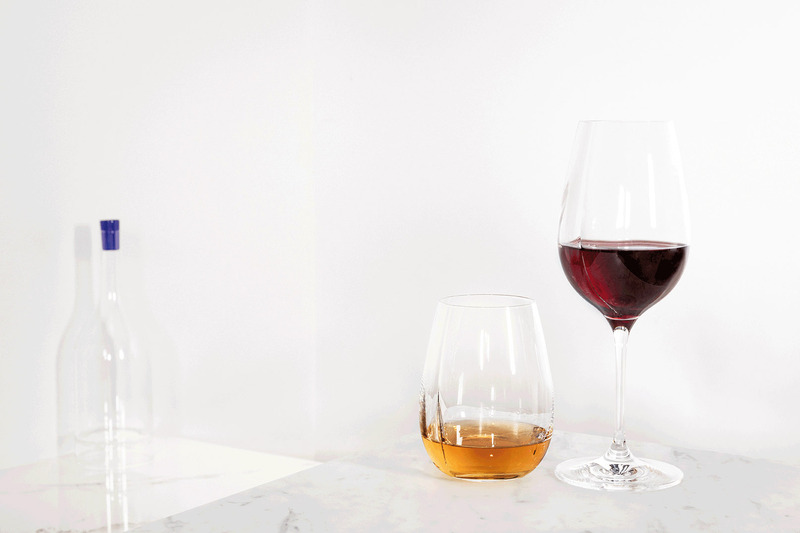 With the Aroma line, your experience of the aromas of wines will go from the ordinary to the extraordinary!
. The prevalent aromas will become more powerful and more “ defined ”. the more subtle and complex aromas will be revealed. These glasses have been enamelled with micro “beads ”. The first of the “ beads ” (the one closest to the rim) indicates the correct level to which to fill the glass. 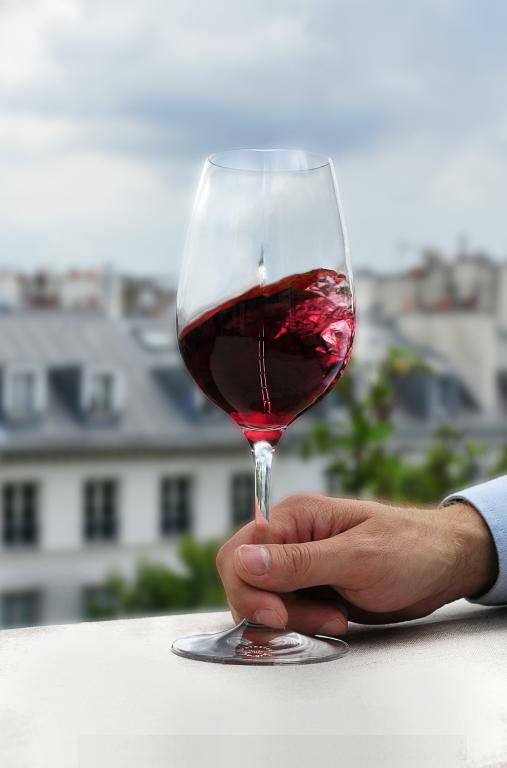 It is essential when pouring wine never to fill the glass more than one-third full. International patent. French invention. A feat in glass craftsmanship. Box of 4.